What is behind BIG DATA? FREEDOM 2.0 is a participatory art installation that asks for the influence of the society on BIG DATA. FREEDOM 2.0 is concerned with the interactions between the digital world and the analog world. The Tracking app makes your invisible data visible. Encrypted and anonymous. Become part of the project! 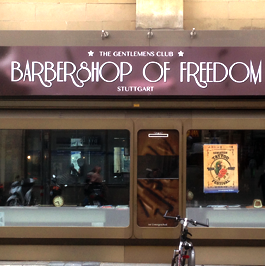 The temporary renaming of local business by the concept of FREEDOM poses the question of the value and importance of privacy and individual freedom. 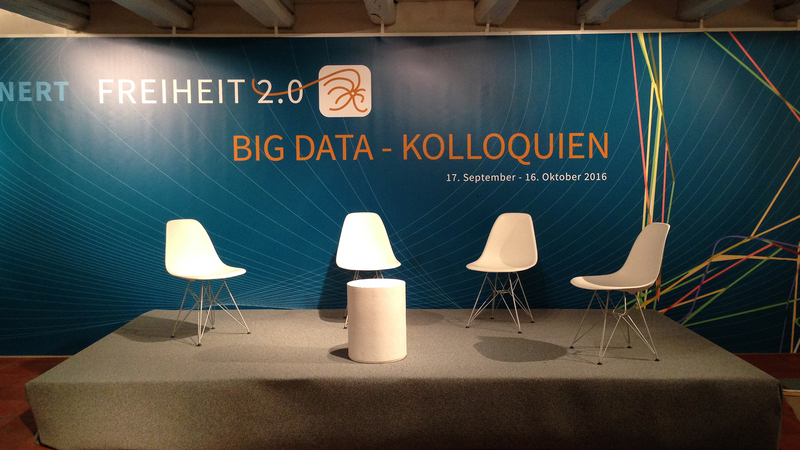 The BIG DATA colloquia, discussed with the support of 10 speakers, our understanding of freedom and the BIG DATA in their basic ideas over 5 weekends. Install the app FREEDOM 2.0 on your mobile phone and become part of the project! 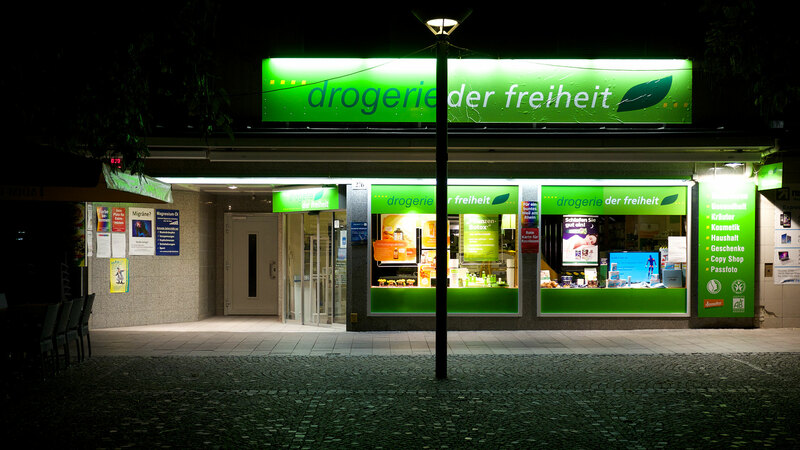 The temporary renaming of businesses in the Gerberviertel by the term FREEDOM publicly raises the question of the value and significance of privacy and individual freedom. The result is a public platform for discussion and debate about the significance and necessary redefinition of privacy in its relation to BIG DATA. A temporary guidance system installed on the streets leads from 26 participating shops in the Gerberviertel to the StadtPalais. The guidance system visualizes the invisible data flow of the digital world. The guidance system reflects the motion profiles of the Tracking APP. The core element of the art installation FREEDOM2.0 is the BIG DATA Colloquia. The StadtPalais in Stuttgart will serve as the central exhibition and event venue for the FREEDOM 2.0 BIG DATA Colloquia. The BIG DATA Colloquia question and discuss with the support of invited Speakers during the project our understanding of freedom in relation to BIG DATA. 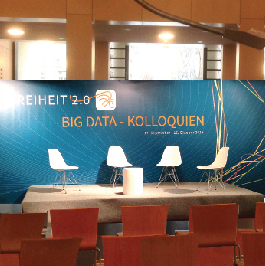 The BIG DATA Colloquia create an open discussion forum that illuminates the complex topic in all its breadth and depth. The BIG DATA Colloquia offer the possibility of an open progressive platform of discourse and offer an exciting and varied educational and lecture program. Anyone can participate, discuss and contribute to the content of FREIHEIT 2.0. The participative art installation FREIHEIT 2.0 pushes a process of self-reflection and self-efficacy in dealing with the topic of the BIG DATA an. FREEDOM 2.0 deals with the interactions between of the digital and the analog world. The art project FREIHEIT 2.0 is an artistically initiated form of an open discourse platform that investigates development processes within society in relation to digitization. 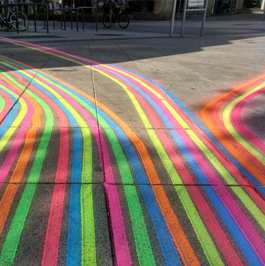 Freiheit 2.0 integrates public space into the art installation as a participative element. The goal of the installation Freiheit 2.0 is to create an awareness of the and a differentiated view of the challenge of dealing with BIG DATA and our digital parallel reality. BIG DATA questions the principles of self-determination over mental and social life, as well as our understanding of the political system. Our privacy and our self-image of freedom are facing a major change. The confrontation with the networked world, the digitalization of our lives and the tension between our anatomy and privacy is a central theme of social development. The big data industry is striving for a real-time model of our daily lives. This is why the BIG DATA system registers our life in all its ramifications. How many steps did we take today and what pulse did we have? What did we buy online? Google knows when you had the flu and knows our next holiday destination. WhatsApp knows who we're communicating with. Youtube knows which videos we watch and Instagram knows our posted life. Mattel knows what's spoken in the nursery and the smart TV looks into our bedroom. Facebook knows all our friends and Amazon already knows today what we will buy tomorrow. Solutions in dealing with BIG DATA? One idea of Big Data is to extract personality patterns and predict real-time results about human behavior in order to use them commercially. FREIHEIT 2.0 takes a first step to examine and question the changes and processes that Big Data has brought about in the form of a social participatory art installation. It is important to use it as a platform to discuss, learn and recognize that we need to develop an ethos in relation to Big Data that protects human dignity in the future.